On October 2, DEWAR’s Scotch Whisky, kicked off London Cocktail Week with a ‘Highball Hustle’ hosted at The Vault, underneath Milroy’s of Soho, the oldest whisky store in London. 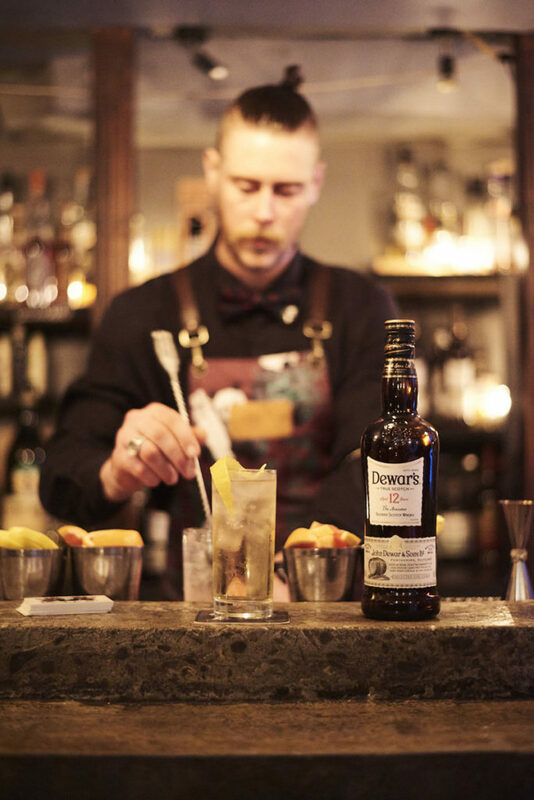 Guests were treated to range of specially created DEWAR’s cocktails, including the DEWAR’s Original Highball. The highball – a perfectly balanced combination of blended whisky and soda – a refreshing and low-calorie alternative to beer, is currently enjoying a resurgence in the UK, following its popularity in Japan. Tommy Dewar, son of DEWAR’s founder, John Dewar, was the original pioneer of the Scotch Highball, popularising and trademarking the drink through the 1890’s and 1900’s. Bartenders Panda & Sons – talented Edinburgh favourites – created a menu for the evening, pulling off modern twists on the beloved classic highball, including the Rob Rose, created with MARTINI Rubino and the High Todd with fresh lemon juice and honey. DEWAR’s smooth tasting range is double-aged for extra smoothness, making it an unbeatable choice for a perfectly balanced highball.